First off, a toddler’s bedroom must be an open, wide space where the infant can freely navigate around without, of course, getting hurt. 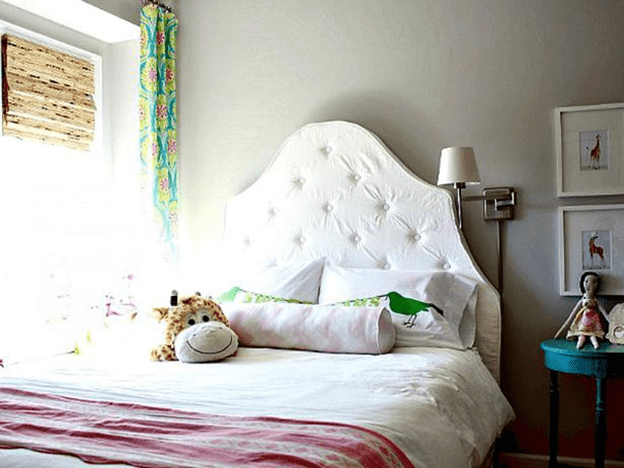 You need to cut out clutter and limit belongings to not only create a safe environment for your toddler but to also allow the bedroom’s decor to shine. Establish a system for processing and hiding toys and other items, be it baskets and containers on shelving or a closet with an organising system. A colour scheme must exist in order to establish a unique environment. Throwing together an unnecessary amount of colours, thinking that the scheme embodies “youth” may just end up looking a mess. To avoid that, instill a colour scheme. You need not be heavy-handed and make everything ocean blue or princess pink, but choosing a couple of core complementary colours can help bring a room together. Try an accent wall in a bold colour or use wallpaper or a packaged mural kit to cover the wall in thematic imagery. Pick up colours, patterns, textures and shapes on textiles, throw pillows or furniture trim. Some fun colour combinations for toddler bedrooms include fuchsia and orange, aqua and cotton candy pink, periwinkle and antique white, turquoise and celadon or sunny yellow, paired with just about anything. Make a statement with furniture that may last a lifetime for your toddler (literally). The bed should be the focal point of the room. If your toddler is just graduating to a toddler bed, keep the crib in the room for a while if possible, in case he needs to transition back and forth. Some people like low bed frames with full guard rails, while others choose partial rails that can be removed eventually. Some cribs can transform into a toddler’s bed, then a bed large enough to suit a teenager, and eventually, a bed that can suffice an adult. Present toys, art supplies, day care supplies and books artfully to marry form and function and to add a more personalised touch. Fill a wicker basket with wooden toys for a rustic look. Line up a selection of books along a ledge so that your toddler can see the covers. Keep another stack of books on a nightstand by the bed for evening story time. Transform a forgotten corner into an art area by outfitting it with an easel or a low table and chair. Keep cups or cans nearby filled with pencils, erasers, stickers, rubber stamps, collage cut-outs and other inspirational materials. Accessorise your toddler bedroom to give it unique style. A bright blanket or comforter in a chosen colour scheme or theme sets the tone. A thick area rug or play mat provides the perfect surface for building block towers or just rolling around. 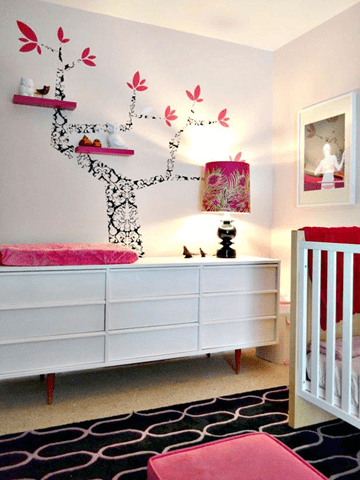 Children’s wall art or pastel wall decals brighten and soften up the walls and reinforces a theme. Lighting can also impact a room tremendously. Décor lamps can add the missing 2% that the room lacks and add a bit of extra brightening up that the ceiling light fails to provide. Shops such as LampCommerce offers a wide variety of lamps that have potential to be the perfect lamp for your toddler’s bedroom.